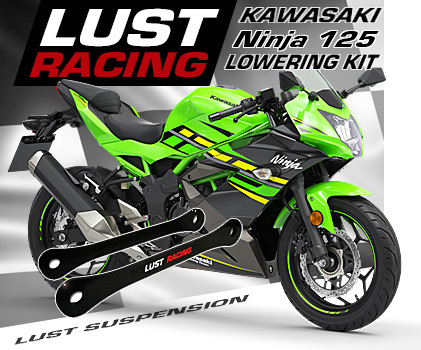 Lowering links for Kawasaki Ninja 300 year models 2013 to 2018. Lowers the seat height on your Ninja 300 / Ninja 300 ABS. 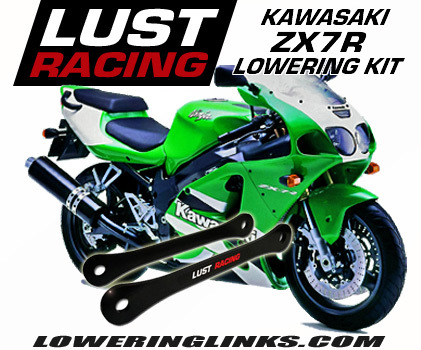 Top quality lowering kit from Lust Racing the leading manufacturer of motorcycle lowering kits. Perfect fit and finish. Easy installation, instructions included. 1.6″inch lowering. 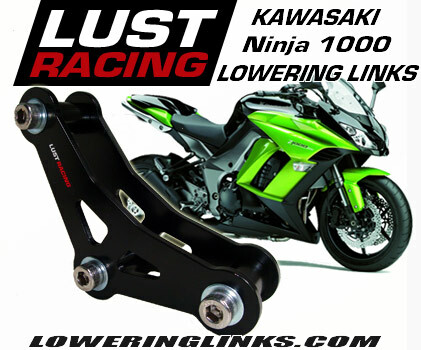 Kawasaki Ninja 300 lowering link kit for year models 2013 to 2018. Reduces the seat height on the Kawasaki ninja 300 by lowering the rear suspension. This means the riders position on the bike keeps the good ergonomic position while the rider can reach easier to the ground. Especially new riders will feel more confident when they can get both feet flat on the ground. The center of gravity is also reduced so the bike becomes also easier to balance. This lowering kit is made by Lust Racing, Europe’s leading manufacturer of high quality lowering kits. Unlike other lowering kits on the market the lowering links in this kit are stronger than the standard links that are replaced during installation. Made in roll-forged steel. Precision machined for perfect fit. Powder coated for long lasting finish and excellent corrosion protection. If you find your Ninja 300 to high this is the lowering kit you need. 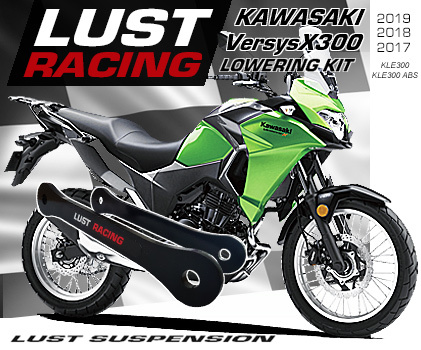 This kit is suitable for Kawasaki Ninja 300 with or without ABS system. Lowers the seat height on the Ninja 300 by 1.6 inches – reach the ground with both feet!